Basically, the GFP is a recreational plan and divides the range up among different recreational uses. In doing this, the proposal excludes some of the best wildlife habitat from strong protection offered by the Wilderness Act. The Buffalo Horn-Porcupine drainages just north of Yellowstone Park contain some of the best grizzly habitat in the range, elk winter range, and a vital elk migration corridor, not to mention one of the best places for recolonization by wild bison. The range has 18 species which the Montana Heritage Program has identified as at risk. Biologists recognize wilderness designation throughout the world as the “Gold Standard” for land protection. Yet the bulk of the Gallatin Range under the GFP plan, including portions of the existing 155,000-acre Hyalite-Porcupine-Buffalo Horn Wilderness Study Area (HPBH WSA), would receive lesser protections, in effect, reducing the existing WSA (but poorly enforced) legal protection for the Gallatin Range. The GFP “proposal calls for 102,000 acres “rocks and ice” wilderness. Much of the lower elevation 250,000 roadless lands that qualify for wilderness designation are proposed for alternative classifications that promote recreation uses. Worse, the GFP proposal legitimizes what has been decades of illegal outlaw mountain biking and ORV use in the Hyalite Porcupine Buffalo Horn Wilderness Study Area (HPBH WSA). The 1977 law that created the WSA required the Forest Service to manage the area as wilderness and to limit any on-going uses to the level and area where they existed at the time of the passage of the Act. I can assert, as someone who has regularly been hiking, skiing and hunting the Gallatin Range from the 1970s onwards, there were no mountain bikes in the Gallatin Range in 1977. And the Forest Service failed to live up to the mandate of the law. Furthermore, the GFP proposed alternative designations to protect sensitive wildlife in the range are likely to fail. They rely on Forest Service monitoring of recreational use and its impact on wildlife-something the FS supposed to have been doing along while the illegal mountain biking was on-going and expanding. There is nothing in the proposal that ensures full funding for monitoring and nothing that forces any agency action even if monitoring were to find impacts from recreation. Given that the Forest Service failed to limit mountain biking in the HPBU WSA all these years why should anyone think they will do the necessary monitoring and enforcement today? Independent ecological studies by Dr. Lance Craighead’, and biologist Steve Gehman document the superlative wildlife habitat of the Gallatin Range and document that growing recreational use, in particular, mountain biking is a real threat to the area’s sensitive wildlife. Wildland Health Index by MSU ecologists Andrew Hansen and Linda Philips found that wilderness designation as wilderness provides exceptional protection for ecological integrity. Other land designations do not provide the same legal and philosophical protection provided by wilderness. Given the growing population of the region, and increasing recreational use of our public lands, we need to leave something for all the other critters that rely on these lands and for the ecological integrity of our public lands. There are numerous places on our public lands to ride bikes, but there are few places that qualify for wilderness designation under the 1964 Wilderness Act. The Gallatin Range’s 250,000 acres is one of the last unprotected roadless areas in the Greater Yellowstone Ecosystem. These lands deserve the best safeguards we can provide, and that is wilderness designation under the 1964 Wilderness Act. 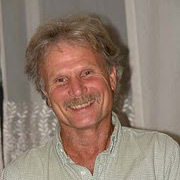 Bio: George Wuerthner is an ecologist and ED of Mountain Bikers for Wilderness. He has published 38 books including Montana Magnificent Wilderness as well as Protecting the Wild: Parks and Wilderness Foundation for Conservation. It doesn’t consider safety either. When the inevitable conflict between a human and a grizzly or other wildlife occurs, the animal will be killed. In addition to loss of habitat, it creates a direct conflict with plenty of precedent. People shouldn’t walk right into danger and expect no problems – or it means they don’t value the wildlife and they are expendable. Now, apply this to all that is industrial recreation, beyond MTBs to quotas/off limits. Note the recent terrible public lands legislation does the same with WSAs/MTBs/Climbing fixed anchors in wilderness exemption via now lauded legislation instead of agency NEPA planning, notably via the Emery County, Utah provisions where we now have a National Western Heritage and Recreation Area, codifying cattle of two species.